Doctor James Faries graduated the University of Tennessee College of Medicine and Surgery. He finished his internship at Fitzsimons Army Medical Center and his residency at San Antonio Uniformed Services Health Education Consortium. He was certified in radiology by the American Board of Radiology. 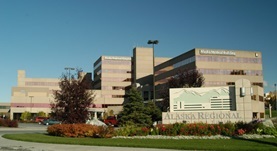 Doctor James Faries, is a radiologist working at Alaska Regional Hospital, Anchorage.